This week, I wanted to show you a site I have recently discovered, that stocks some of the best brands on the High Street all in one place. My Label is an online retailer that offers women’s fashion and mens fashion from some of the most prestigious brands, all with free worldwide delivery! I’ve picked some of my favourite pieces that I would wear for Spring/Summer. 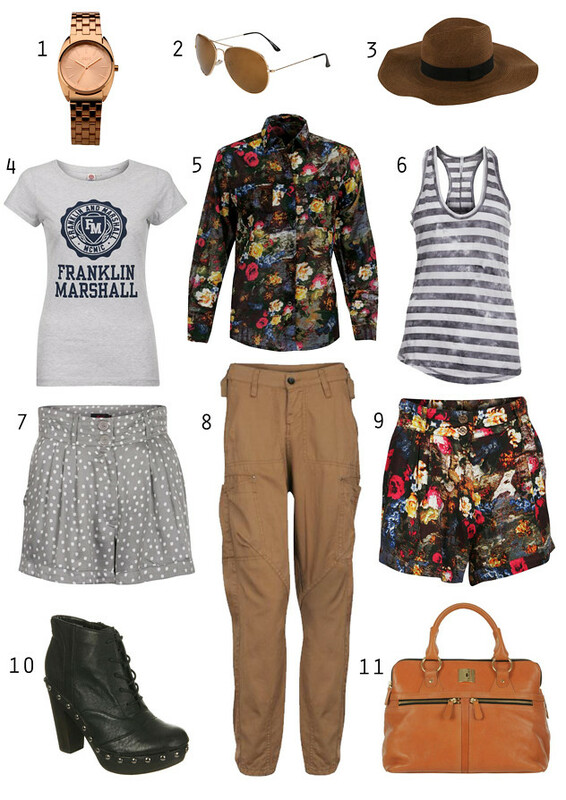 I’m in love with the printed shorts and shirt by Motel, and the clog boots are to die for! I can imagine them worn with a floaty midi skirt with the stripe vest tucked in. Because: They offer such a wide ranges of styles and brands, all with free delivery! What are your favourite pieces from the selection I’ve chosen? Have you shopped with My Label before? I love the clog boots!